Watch For New Rob Eberenz Home in Homearama 2013! Can Be Duplicated For You! New Rob Eberenz Builder's home features 5 Bedrooms, 4 1/2 Baths, vaulted ceilings, library, 1st floor owner's suite, a two story vaulted great room with fireplace and entertainment center, gourmet kitchen with granite is open to the hearth room, finished lower livel, screened porch and deck. 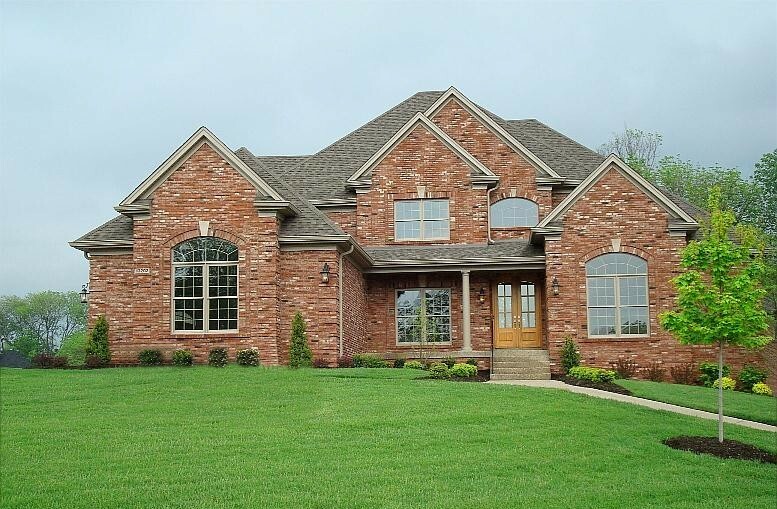 Enter the foyer of this outstanding custom built home through mahogany and glass double doors. 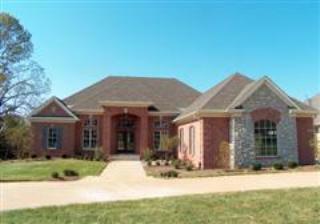 5 bedrooms, 4 1/2 baths, first floor owner's suite. The gourmet kitchen has maple cabinetry, granite countertops, and a large center island with seating. Finished walk-out lower level boasts a family/recreation room and opens to a patio. 3 car garage. 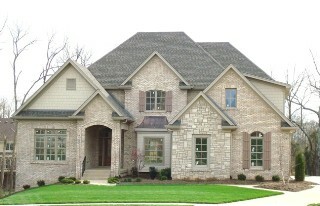 New Rob Eberenz home with 6 bedrooms, 4 1/2 baths. Elegant foyer, with 2-story ceiling, is open to the columned formal dining room, library, and vaulted great room. The great room has arched windows, a fireplace with granite hearth & mantel, and an open view to the gourmet kitchen and hearth room. The 1st floor owner's suite has a wonderful spa bath. Hardwood floors are everywhere on the 1st floor except the owner's suite. Finished basement with family/rec room, full bath, and 6th BR. 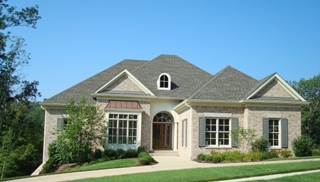 Extras include screened porch, patio, security sys., irrigation sys., and all clad maintenance free exterior,5850 sq.ft. 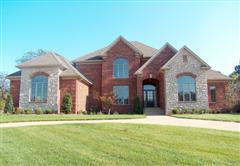 Spectacular new Rob Eberenz home with 4 bedrooms, 4 1/2 baths. The 2 story vaulted entry foyer has a turned staircase with iron balusters and leads to the 2nd floor bridge hallway which overlooks the family room. The 1st floor features a library with 10' ceiling, extensive moldings & built-in bookcases, formal dining room, huge gourmet kitchen with atrium doors leading to the screened porch & patio, owner's suite with spa bath. Finished LL has a Rec. room , exercise room, and 4th bath. 5600 sq.ft. Exciting new open floor plan by Rob Eberenz featuring a 2-story, vaulted leaded glass entry opening to the great room with a spectacular palladian window. Huge gourmet kitchen custom built to the owner's specifications. First floor owner’s suite has a spacious spa bath with 2 vanities, whirlpool tub, large shower, private commode room and a huge walk-in closet. 6 bedrooms, 3 ½ baths, screened porch and patio. 5300 sq.ft. Walk-out ranch with 3 bedrooms, 2 ½ baths, formal dining room, great room with fireplace and bookcases, gourmet kitchen with beautiful cabinetry, granite countertops, and dining area open to the hearth room with another gas fireplace and bookcases. The hearth room opens to a deck and is adjacent to the screened porch. Walk-out lower level is framed and plumbed for full bath, 2 bedrooms, rec room, and 9’ ceilings, with 1500 sq.ft., lots of windows and doors opening to a patio. Spectacular walk-out ranch with a foyer with a 12’ ceiling and is open to the banquet size dining room and also to the great room, with fireplace and bookcases, which is open to the gourmet kitchen. The home has a 1st floor owner’s suite, plus 2 other bedrooms on the first floor. The finished walk-out lower level features a rec room with walk-in wet bar, exercise room, and a 4th bedroom with a full bath. 3 car garage.